"It was a no-brainer for us. But we’ve waited a long time for it"
Photos of all of the entries can be found in this slideshow (after following the link, click the "slideshow" button in the upper left). Thanks to all who participated and helped make the first VCS high school art contest a rousing success! Tuesday, July 15, 10:00 to 11:00 am, Edgartown. Wednesday, July 16, 7:30 pm, West Tisbury. The Polly Hill Arboretum hosts Dr. Gerry Donnelly of The Morton Arboretum in Illinois for a talk on the important role of public gardens, and how they relate to various social and environmental issues. $10 ($5 for PHA members), more info at PHA website. Wednesday, July 30, Oak Bluffs. VCS hosts our annual appreciation event for our most generous donors at the home of Jesse Ausubel, Director of the Program for the Human Environment at Rockefeller University. For directions, RSVPs, and information on becoming a VCS Conservator, please contact our office at (508) 693-9588 or via email. As one of the first vegetables of the season to come in droves, the abundance of cucumbers arrives when the weather most discourages cooking. As their Harvest of the Month, the Island Grown Initiative suggests snacking on this crunchy, refreshing fruit (which consists mostly of water) – whether on their own, with hummus, or in this simple raita from chef Robin Ledoux-Forte. This year’s annual meeting of the VCS Board and Membership featured an engaging presentation by wildlife biologist Luanne Johnson, who delivered a spirited defense of our Island’s flora and fauna. A major focus of Luanne’s talk was to share some of the most important actions each individual can take in their daily life to help us coexist peacefully with the natural world. 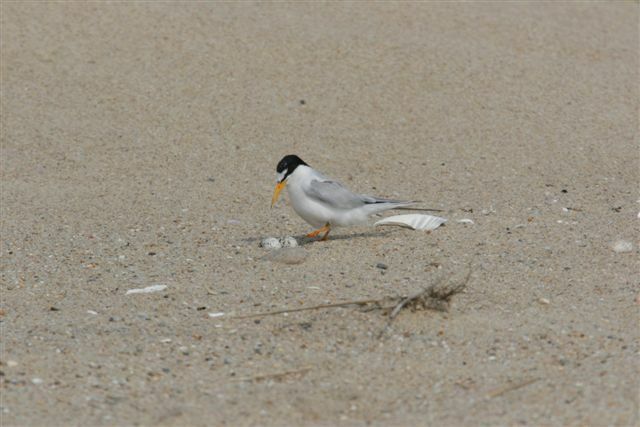 At the beach, keep your dog on a leash – our shorebirds are frightened by all dogs, even the nice ones, and will exhaust themselves from vigilance. Do not feed birds at the beach, and at the end of the day clear your beach site of all food scraps – anything left behind will attract skunks. If you have bats at your home, provide a shallow pool or bird bath as a water source and put a bat house in a sunny area. If you use sticky traps for rodents in barns, place chicken wire around them to prevent bat captures. Allow your yard to blend with the natural areas nearby. Phase out your mowing and watering dependent lawn in favor of native grasses, shrubs, and wildflowers. Consider creating an ephemeral pond to connect with nearby wetlands. Instead of leaving rat poison around where it can kill non-target wildlife, put out cover boards to encourage snakes for rodent control. We don’t have any venomous snakes here – they’re all good! Be aware when driving and watch for turtles and snakes in the road. Also, when planning new construction or renovations, minimize new roads. Do not leave outdoor lights on overnight and use moth-safe bulbs where light is truly needed. If you have an indoor/outdoor cat, add a cat condo to one of your windows so your cat can still go outside, but can’t hunt and kill birds. Songbirds – fledglings and nestlings, as well as bats, are common prey for cats in the summer. You will also reduce your risk of exposure to tularemia from rabbits your cat may kill. Sit outside and be still in nature for 15 minutes every day! Dumping of wastewater from boats, even if chemically treated, will no longer be allowed off the Massachusetts coast. As reported today in the Vineyard Gazette, new EPA regulations will ban the dumping of wastewater from all commercial and recreational vessels in state waters along the Massachusetts coast. It has been a long and convoluted process, frequently delayed as state and federal agencies worked with operators to make the transition as painless as possible. While the No Discharge Zone was officially extended to cover all of the state in late June (see Boston Globe), the EPA had issued the Notice of Determination that sufficient facilities for pumping out wastewater were “reasonably available” in June of 2012. The dumping ban is an obvious victory for water quality around the Vineyard and other coastal waters, but it does raise the question of why something couldn’t have been done sooner. Pump-out stations (and even boats to collect wastewater) are now available in our island’s harbors, but are a relatively new phenomenon. In fact, it wasn’t that long ago that recreational boaters simply dumped right in the harbor. More broadly, dumping of wastewater at sea was common until now, and standard practice not that long ago. So while credit is certainly due to the vessel operators and owners who are doing the legwork to help clean our waters, this story also reinforces the need for active environmental regulation. Sometimes it just takes a little nudge (and lots of grant funding) to get everyone on board.